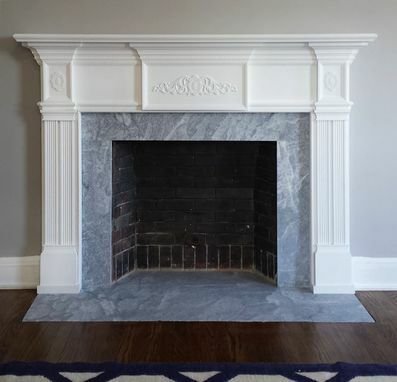 It's no secret that the Memphis Fireplace Mantel has an underlying floral theme. 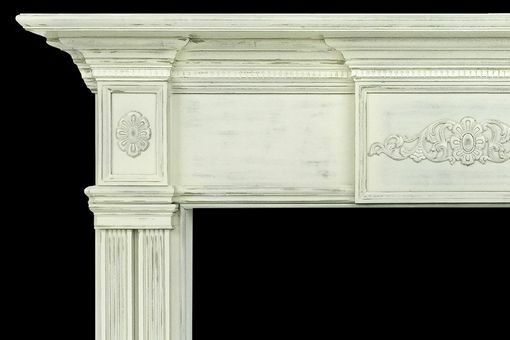 Three floral appliqués draw the eye across the breadth of the mantel header while decorative etched mouldings flow through to connect these prominent facets. The same flower can be found in all three of the decorative appliqués, while the center detail stretches laterally with additional flourishes. The legs on the Memphis Mantel are impactful as they provide dual-columns lifting from the floor and stoutly supporting the enchanting header assembly. 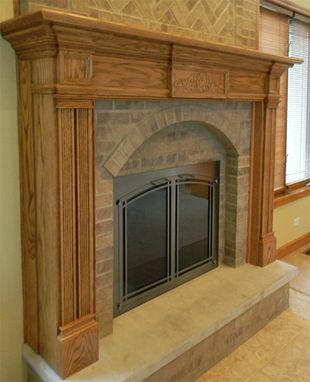 The beaded fluting found in the vertical leg trim is a unique take on traditional fluting; fluting is normally a concave detail, yet the beaded fluted found on the Memphis Wood Mantel is convex.